This is a lander/skycrane. 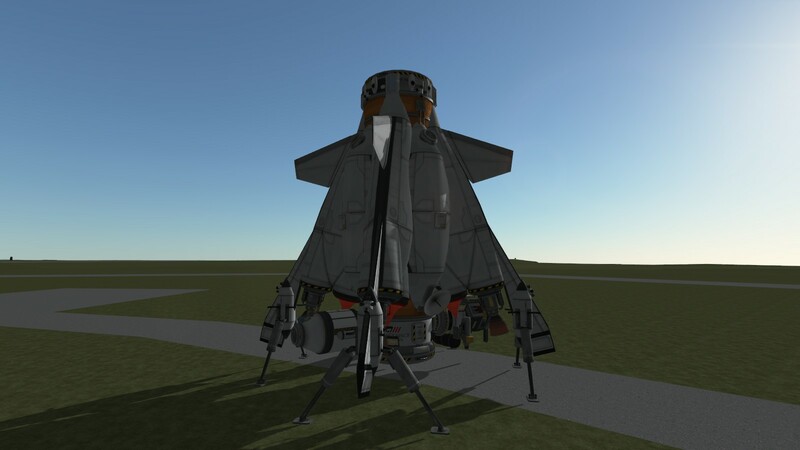 It can safely lift and move 30 tons on Kerbin while fully fueled. Also when fully fueled and unburdened, it has a delta V of around 3,500. It is designed to be aerodynamically unstable in order to maintain control in an atmosphere… sounds counter-intuitive, but its instability allows you to change orientation of the craft as if there was no atmosphere. There are two attachments included. Ore miner and science. 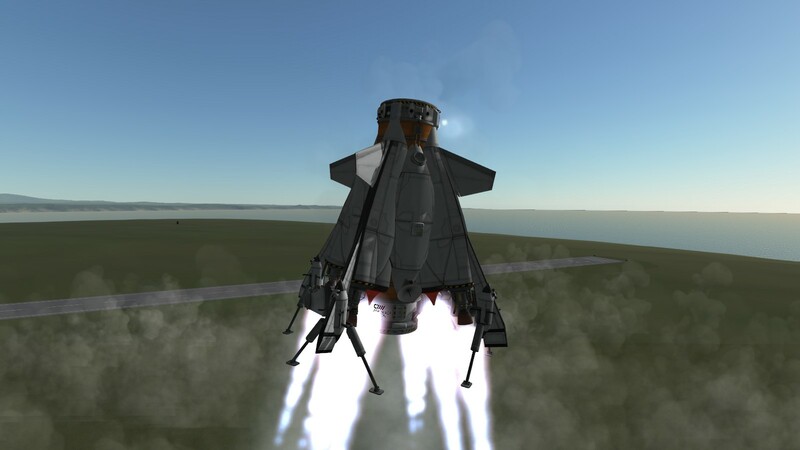 It may be possible to make this an SSTO if you add additional fuel tank attachments and a proper nose cone. Push 5 to toggle the powerful RCS. This aids in stability and control. A stock rocket called ! 30T SkyCrane. Built with 157 of the finest parts, its root part is MiniISRU.